Originally used as storage vessels for precious spices and condiments in ancient China, ginger jars instead became popular as decorative items in 17th Century Europe due to their beautiful shapes and auspicious patterns. 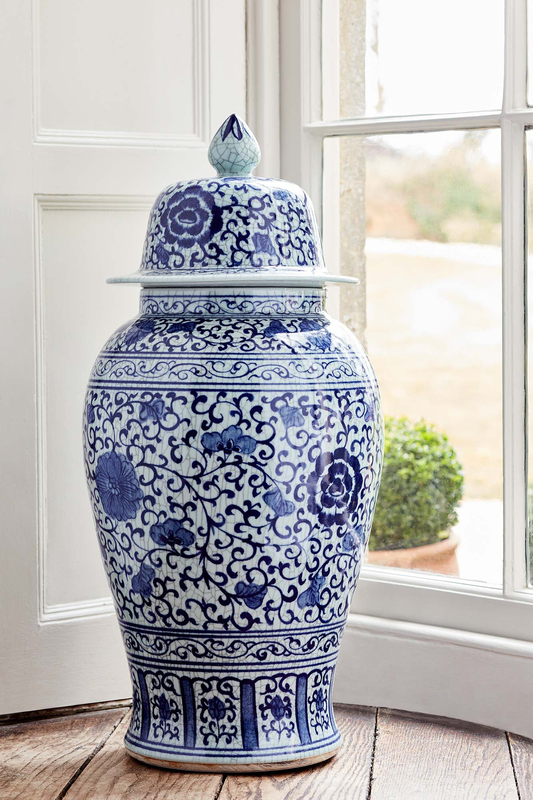 Our impressive Lin Bu Extra Large Ginger Jar continues this tradition, splendid in size with a beautiful silhouette and adorned in a classic blue and white pattern. 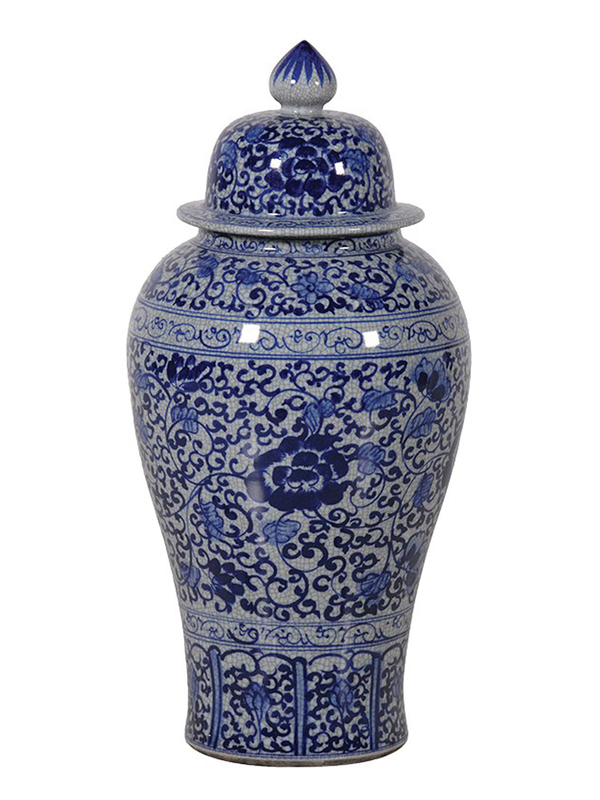 This grand jar makes a wonderful addition whether in your hallway, beside a fireplace or even as a glorious decoration for your bedroom.